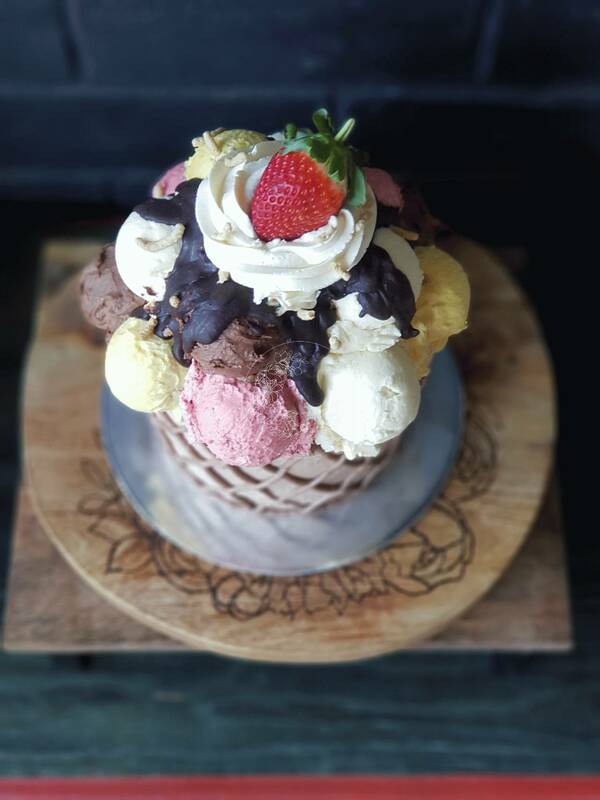 Made to resemble a large ice cream sundae, each of the “scoops” of ice cream are made from cake pop with a buttercream layer over the top. This colourful cake is one form of a gigantic cupcake – a popular cake for kid’s birthday parties. 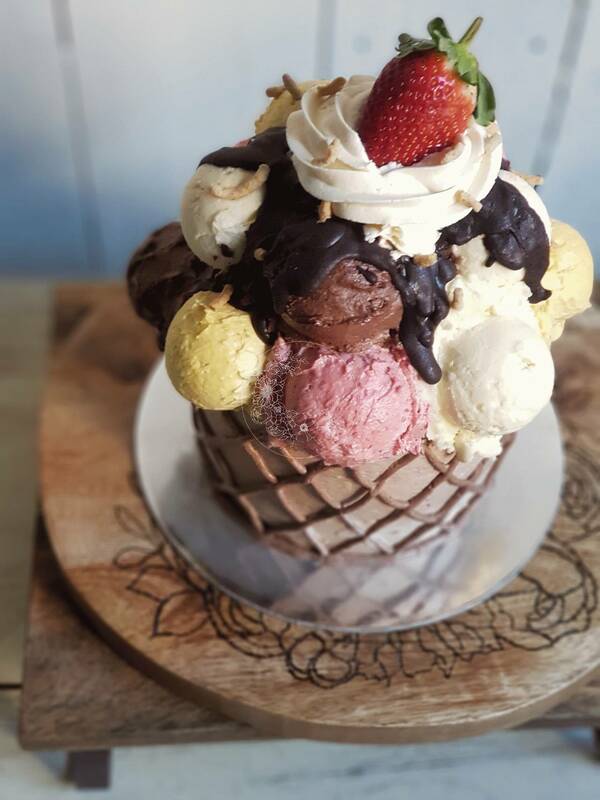 We have seen plenty of rosette gigantic cupcakes, why not turn the cupcake into a gigantic ice cream? We make a lot of cakes – quite often, we test our cakes in every possible way. 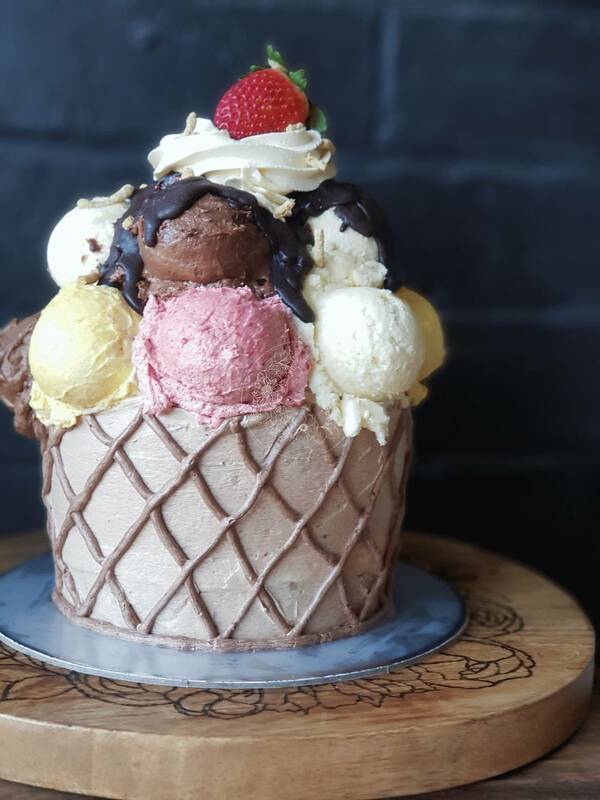 One big secret, our cakes – especially the buttercream tastes almost like ice cream when it has been chilled in the freezer, which will work perfectly with this cake.